Hello everyone! Welcome to another Lunyr update. We’re proud to share our progress for the past month! We have added tools to make citations much easier. Now, when editing your article, the citation assistant will help you add citations. When you double click on a word, CITE will be given as an option. This will simplify the process of adding citations to an article and keep it formatted as is suggested in the Writing Manual. In the longer term, this will allow us to improve our article quality by creating a list of trusted citation sources which articles are checked against to further enhance quality. The Search bar in the upper left hand corner of the site is now predictive. It will search as each character as typed rather than wait for the search to be completed. As you can see in the image above, the search prioritizes the title first, then the body of the article. 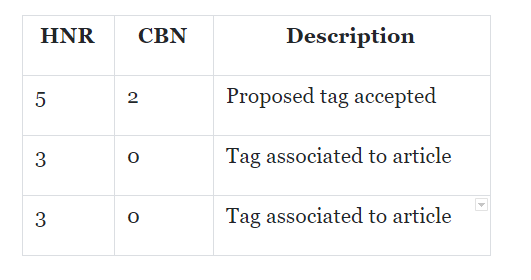 Authors and Reviewers now have the ability to tag articles. In order to tag an article, the user must first propose a tag and then a second user must endorse the tag. Proposing a tag and associating a tag to an article are two separate actions with two separate barriers to entry. Creating tags are rewarded and will further enhance your author reputation as introduced in last month’s update. Once tagged, an article can be more easily searched for and filtered on. This will build a foundation for a more friendly and efficient user experience as this functionality is built upon. You are now able to add comments to other authors articles while it is in the draft stage, enabling you to collaborate on articles prior to publishing. As mentioned in our last update, we have been working on a completely decentralized app, code named Orbiter. This dapp has been fully rebuilt with a primary focus on complete decentralization. And, as you can see, you can have multiple accounts. Note: Once you download the dapp and login, you will be able to import your Lunyr.com account, which includes your LUN and Ether. This dapp will continue to be updated over the coming weeks as we mentioned in our last update.